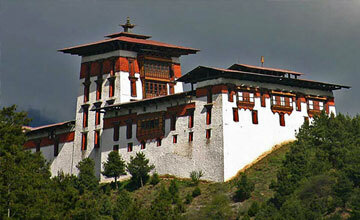 Bhutan sightseeing tour is most popular tour in Bhutan. 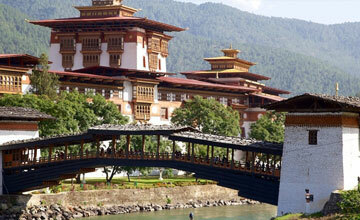 Sightseing tour in Bhutan offer you best experience of Bhutanese culture & hospitality. 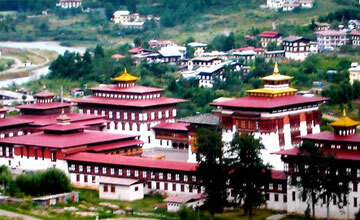 Bhutan sightseeing tours take to you hear of the Bhutan including Paro, Taktsang monastery, Thumpu, Punakha , Wangdi etc. 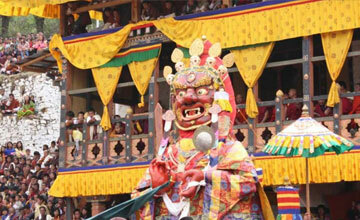 Bhutan package tour in Bhutan fit for all age group travelers & minimum one week holiday required for this package tours. Normally Autumn & spring season is best time for Bhutan sightseeing tour but we Himalaya Journey Trekking arrange around the year as per travelers wish and holiday schedule. 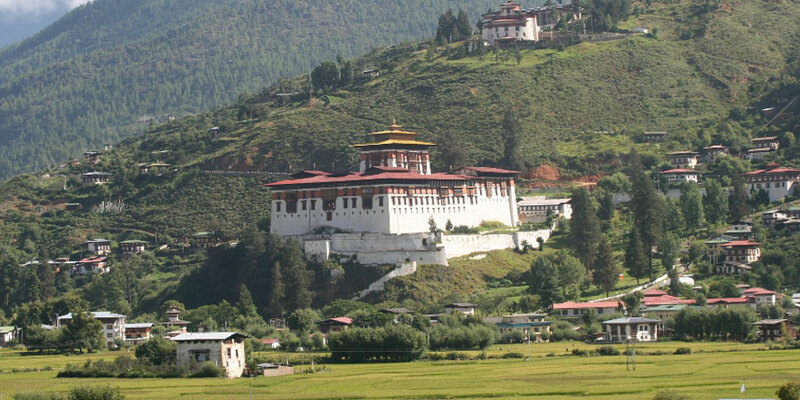 For Bhutan cultural package tour , travelers my fly from Delhi to Paro, Kathmandu to Paro or Bangkok to Paro , HJT arrange trip from appropriate destination. 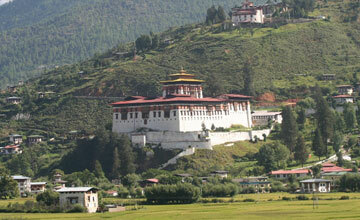 Bhutan package tour is travelers most marvelous destination in Bhutan. Full Day visits to the sites in and around Paro. Day hike to Taktsang Monastery view point. Taktsang, meaning "Tiger's nest," is built around a cave in which Guru Rimpoche (Padmasambhawa) mediated, clings seemingly impossible to a cliff of rock at 3,000 feet above the valley floor. For the local people it is a place of pilgrimage, but for a tourist, a hike up to the view point opposite the monastery is exhausting, thrilling and mystical. The legend has it that Guru Rimpoche is said to have flown to the site of the monastery on the back of a tigress from Tibet and meditated in the cave there for three months. Drive to Thimphu. The drive from Paro to Thimphu is spectacularly scenic. Magnificent monasteries and stupas in the valleys and mountain tops. 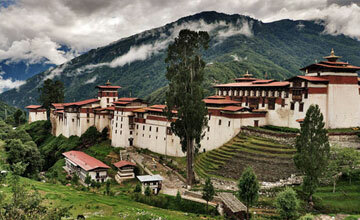 Experience the "Last Buddhist Himalayan Kingdom" on Earth and take precious memories back home. Downtown Thimphu on foot visiting Handicrafts Emporium and other Arts & Crafts stores. Buy stunning kiras which can be used as bed covers or wall decoration, jewelleries and many more. Overnight at Thimphu. Full Day Sightseeing trip to Punakha and Wangdi Towns. 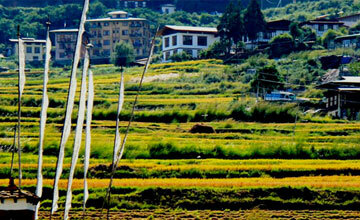 Punakha was the old capital of Bhutan and it is still the winter residence of Central Monastic Body. Punakha Dzong is the most Magnificent and Largest Dzong in Bhutan. Return to Thimphu for Overnight. Morning, time at leisure to explore around Thimphu town on your own or relax in the hotel. Afternoon, transfer to Paro for Overnight at Zshiwaling Resort. After breakfast, relaxing or shopping then three hours before departure , Himalaya Journey Treks & Expedition’s airport representative will drop to you Paro airport for onward journey. All land transportation: Transfers and sightseeing by a deluxe vehicle and Airport /Hotel/Airport & tours pick up & drop). 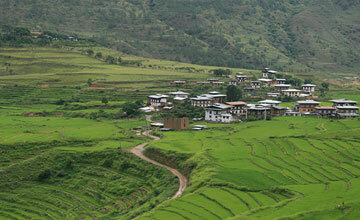 3 time meals during the Bhutan sightseeing tour breakfast, Lunch and dinner. Bhutan temples, monuments sightseeing entry fees.